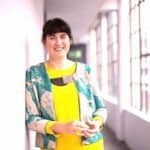 With female entrepreneurs becoming a big topic in the crowdfunding world, equity platform Crowdcube weighed in on its experience with working with projects that involve women leaders. 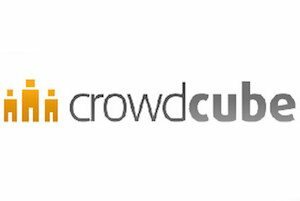 “Crowdcube is changing the status quo. We’re making investing and raising finance more accessible, affordable and rewarding for entrepreneurs and investors alike – giving everyone, regardless of gender, greater accessibility to an industry that was once dominated by a handful of people. “Each year we’ve seen an increase in the numbers of of female investors and entrepreneurs on our platform. Since we launched in 2011 up to the end of last year, 14% of our funded businesses have had female founders. Compare that to this year when 21% of businesses that have funded on Crowdcube have been led by females and it looks like a trend that is set to continue. When it comes to investors, out of our growing investor community of more than 185,000 people, 24% are female – a stark difference to traditional business angels. 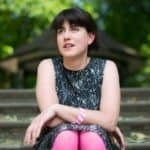 “Over the last month, there have been a string of businesses led by female entrepreneurs; Sugru, Cake, Filmore & Union and Poundshop.com have collectively raised over £4.6 million so far. And let’s not forget the companies with females on the founding team or board. These businesses include Notes Coffee, Extremis, Innovation Makers and LUMO to name just a few. “SilkFred founder Emma Watkinson funded her ecommerce platform for independent fashion designers on Crowdcube on 2013. 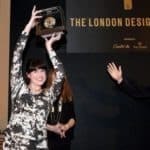 Since then, Emma has been invited to Vogue Fashion Experience in Dubai, cruised past the £1million mark for 2014 sales, gained over 200,000 Facebook fans and has been nominated for UKBAA Best Female Led Investment. 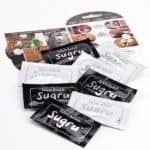 “Another success story was Pip and Nut, founded by Pippa Murray who raised £120,000 on Crowdcube last year. 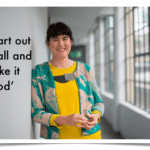 Pippa spent three months living in a shed to get her business off the ground and following investment from the crowd, Pip and Nut is now stocked in leading retailers such as Selfridges, As Nature Intended and Booths. 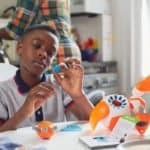 “Sugru inventor and CEO, Jane ni Dhulchaointigh, has so far raised over £3.2 million on Crowdcube after attracting investment from more than 2,400 people. 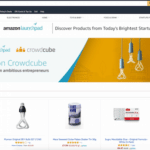 Since being live on the site the company has been breaking numerous records with the incredible achievement of attracting a private investment of £1 million, the single largest investment ever made on Crowdcube from an existing member. 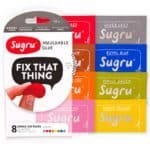 Sugru also holds the record for the company with the highest amount of countries investing into one campaign (currently totalling at 64) and has raised the highest amount among the female entrepreneurs to seek investment on Crowdcube. “Charlotte Kohlmann, who co-founded Cake, the mobile payment system, in 2013 has so far raised more than £650,000 from our crowd of investors. Charlotte aims to make Cake one of the key players in the global transition from card to mobile payments. “Filmore & Union was founded by Adele Carnell who is a firm believer in ‘you are what you eat’. Following on from her passion and background in health clinics and interior design she has launched seven restaurants serving natural and wholesome foods with a turnover of £3.1 million. 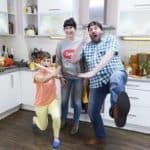 This entry was posted in General News, Investment Platforms and Marketplaces, Offerings and tagged cake, charlotte kohlmann, crowdcube, donna baker, emma watkinson, filmier & union, gem misa, jane ni dhulchaointigh, pippa murray, poundshop, sugru. Bookmark the permalink.